The Progress Jiu Jitsu M6 350 GSM kimono is a great option in the ultra lightweight gi market. This gi has beautiful subtle design points, and uses great fabrics to give a very well rounded product. 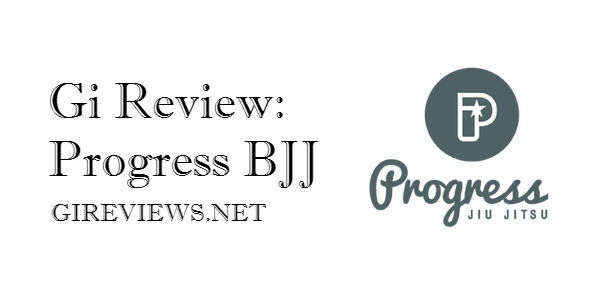 Progress Jiu Jitsu is a UK based company that has been out there for a while. They sponsor some really good athletes including the up and coming Garry Tonon, and have been expanding their product line lately. They submitted a now discontinued model of their M6 Kimono (the current iteration is a 450 GSM instead of a 350 GSM), but if the older model is any indication I am very confident that any product this company puts out will be excellent. I also own a Tatami Subzero (Check out Sub-zero at Amazon) which I like enough to use as my lightweight competition gi, this specific gi from Progress Jiu Jitsu fits, feels and looks like a Tatami Subzero but with different branding and more belt loops. This gi is a quintessential A3. I personally fall into the A3 category (6’1 190 LBS) but greatly prefer the fit of an A2L. 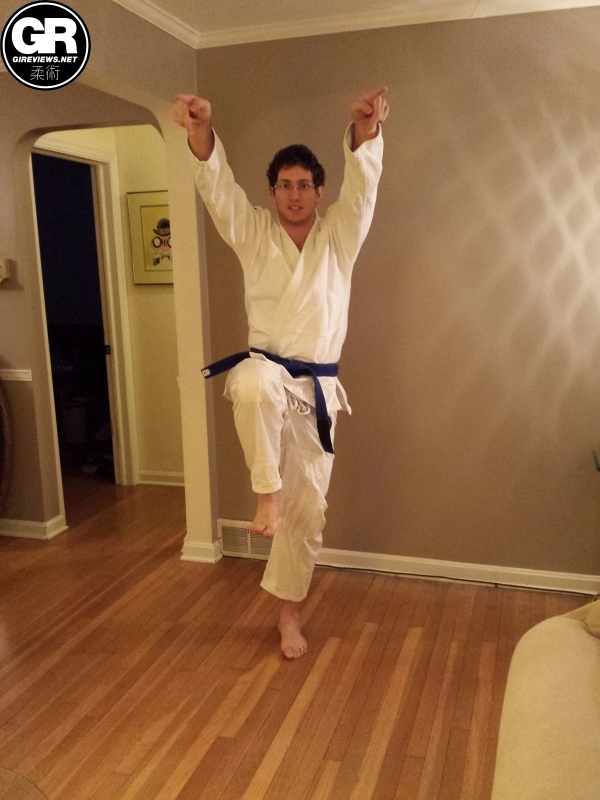 That said, the fit of this gi is very respectable. Nothing is too baggy, everything about the gi fits properly, but it is not a “slim fit” gi by any stretch of the imagination. To be fair, I would say the fit is perfect, but my preference is towards a slimmer cut that can be found in an A2L. This gi is squeaky clean. No branded seamtape, no clever logos or sayings. There is a round embroidery on each arm with the Progress “P” logo and a separate embroidery directly under each with the name of the company written in a loopy cursive font, I think this method looks amazing. The bottom of one lapel has the a woven tag with the same logo. The pants have the same embroidery as the arms on the left leg at mid thigh. I personally like cleanly designed gis and this is definitely that, cleanly designed. As I mentioned in the introduction, the gi might as well be my Tatami Subzero with different branding, and that is totally okay with me as the Subzero is also an outstanding product. The theme of this gi is “no frills.” The jacket is a nice, soft 350 GSM pearl weave that doesn’t stretch much when wet. The collar is twill covered foam and is amply thick and supple, it is not a “heavy duty” collar that we see on many higher end heavy gis, this collar is thick enough to not be a disadvantage but other than that is normal. 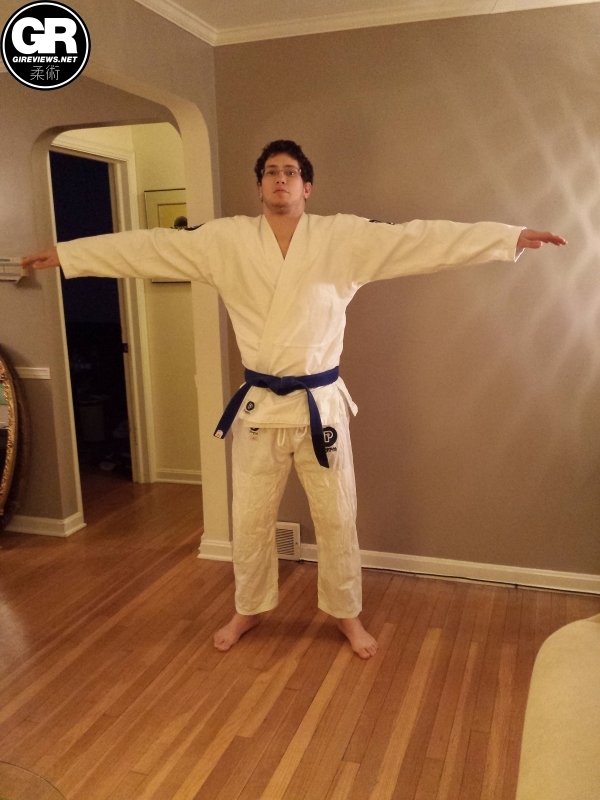 The seamtape on the gi is also twill, very soft and well done. The gi doesn’t have many reinforcements but is stitched very well. I put it through the ringer and it doesn’t really show any wear. The pants like the top are stark and simple. The twill Progress chose is a great choice, very soft and comfortable, the remind me of a nice pair of khakis. Also, the pants have added fabric in the knee that goes from about 5 inches above the knee to 5 inches below. Given the intention of keeping the gi light, I can understand that they didn’t want to do full length knee pads. The drawstring is a standard stretchy rope, and they chose to place 6 belt loops which is the only functional difference from the Tatami Subzero. The fit of the pants is ideal for me, giving me plenty of range of motion but never posing an issue of being too loose. I am not a huge fan of ultra lightweight gis insofar as their rolling performance as they tend to flow easily (get untucked, and kind of wrap around) and can become a problem for me. That said because the cut of the gi is very good which minimized this issue. This gi is also super comfortable and would be great on a hot day when I don’t want to wear a heavier gi. Click here to discover the latest lightweight gis from Fuji, Tatami, Hayabusa and more! The lapel of the gi is supple and thick so I didn’t have the issues I’ve had with some other ultra light gis being easier to choke me with. The Progress Jiu Jitsu M6 gi is a fine product. It fits well, is great as a lightweight comp or training gi, and leaves very little to be desired. 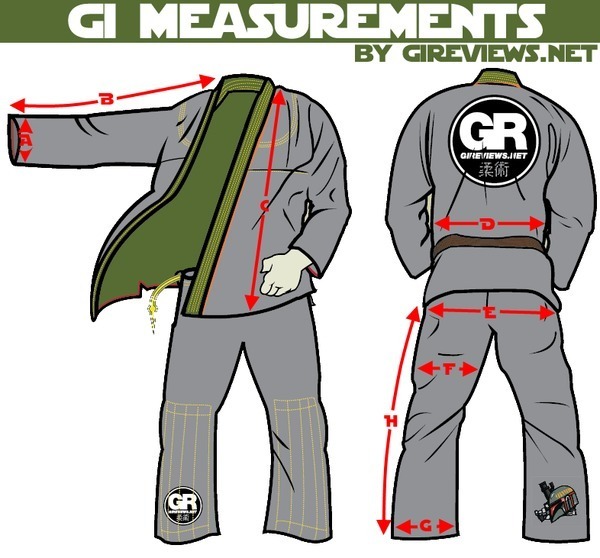 Since I received the gi for review they have expanded their M6 product line to include different colors and opted for a heavier weave but still lightweight cloth. If the 350 GSM model is any indication anything that Progress BJJ puts out will be awesome. Disclosure: This Gi was submitted to me free of charge (by way of gireviews.net) for review. I have never done any work with or for Progress Jiu Jitsu.